It's time to bid our farewell to winter and look forward to spring as we head out to a brewery on a mountain top with stunning views, setting the trend for our spring outdoor events and explorations. 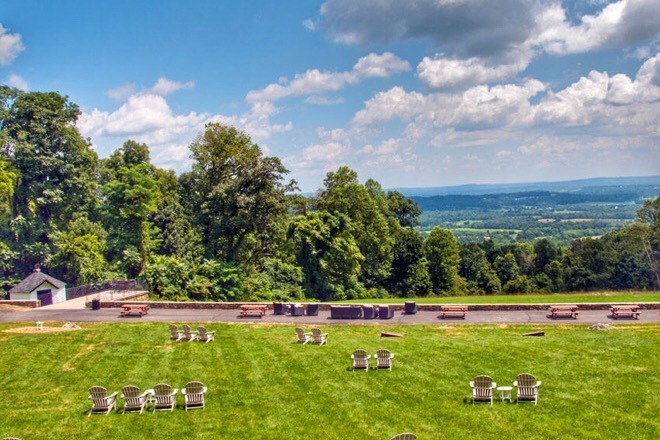 We have selected a brand new craft brewery, nestled in the rolling, wooded hills west of Loudoun having a patio with a stunning view of Blueridge Mountain. 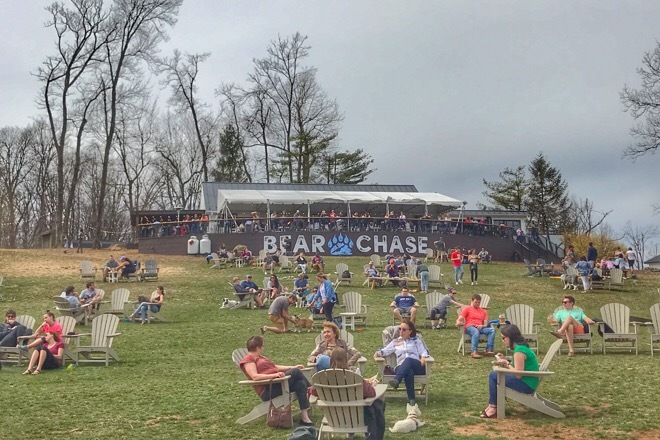 Bear Chase is a brewery nestled in the rolling, wooded hills west of Loudoun, in the village of Bluemont, which makes craft beer. The brewery has a 10-barrel system on one side, and a smaller 3.5-barrel system on the other. The larger system produces the perennial favorites of local craft beer enthusiasts (such as Mr. Blonde, High Pointe Helles, and Anarchy Ale), while the smaller system is used for experimenting with new recipes and producing limited release small batch brews. Bear Chase is currently growing hops, and plans to plant an orchard of fruit trees in the spring as well to expand the hop fields to yield more ingredients for their brewery. The food menu at the brewery offers pizza, pretzels, and charcuterie/snacks. Pets are allowed outside on the property but not inside the tasting room. 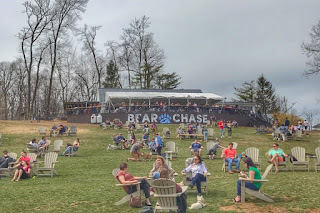 We will enjoy a couple of hours at Bear Chase sampling their different beers and if the weather is nice hang outdoors where you can bring your dogs. Description: Farewell to winter with a picnic at the Bear Chase brewery in Bluemont Virginia.